Once upon a time there was a boy who presented a well-thought out proposal for his teacher, Ms. Johnson, convincing her that bringing a pterodactyl to school would be a good idea. 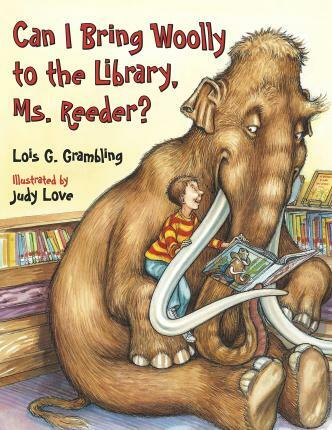 The boy is back, and this time he has several reasons why bringing a woolly mammoth to the library would be advantageous to the librarian, Ms. Reeder, and the library's patrons. Lois Grambling is the author of more than twenty children's books, including CAN I BRING WOOLLY TO THE LIBRARY, MS REEDER? and CAN I HAVE A STEGOSAURUS, MOM? CAN I? PLEASE!? She lives in Binghamton, New York.